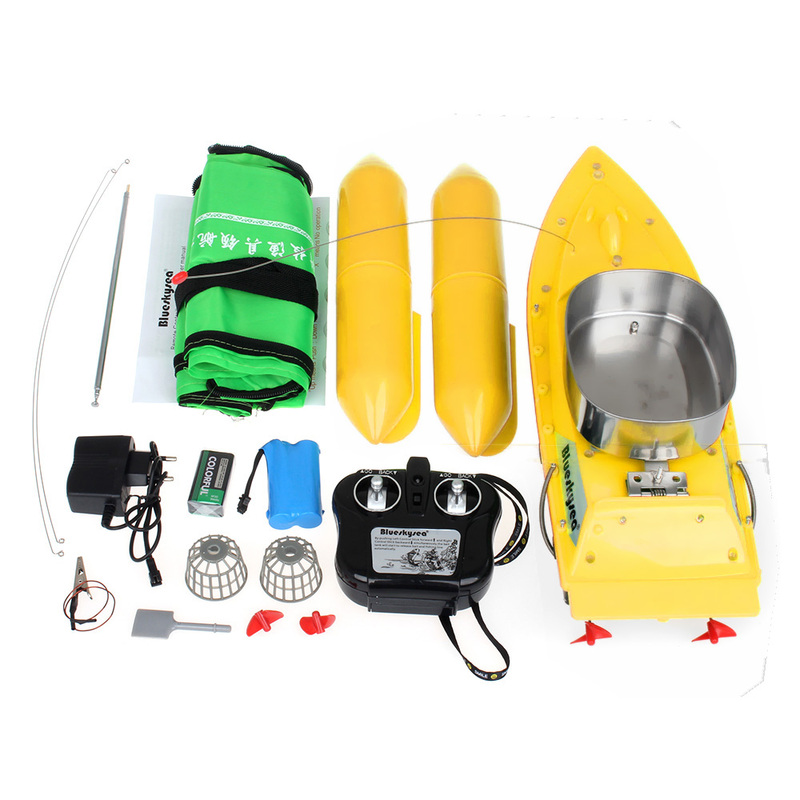 1.Bait boat can be turned left and right, forward and backward by remote controller. 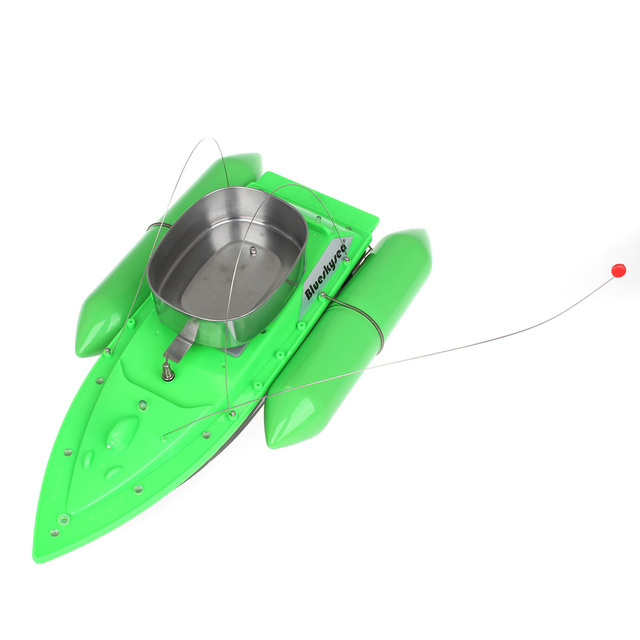 2.Used for bait casting ,dropping fishing line and fishing hook. 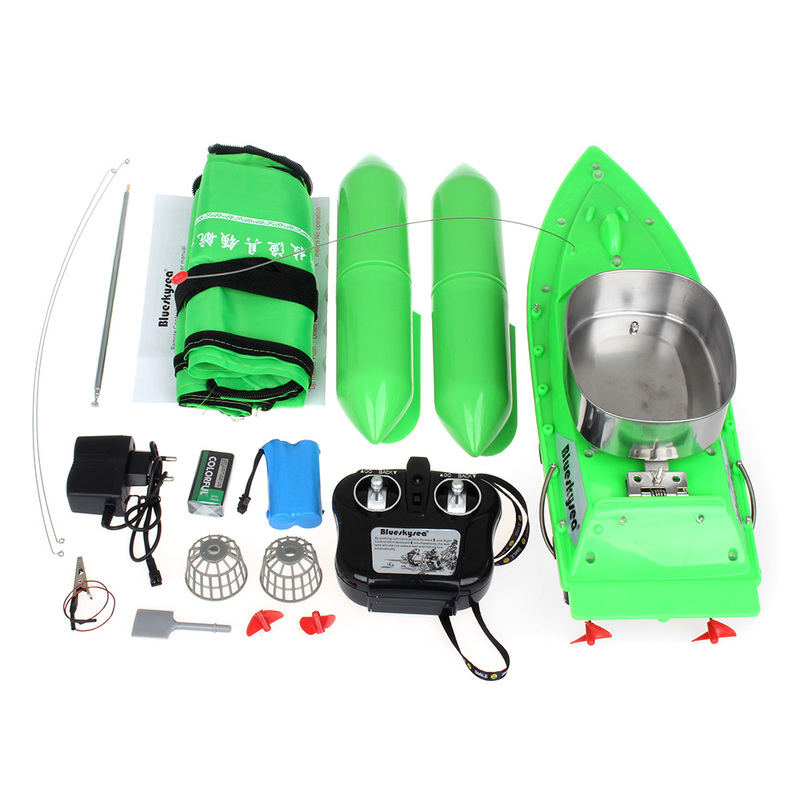 4.Built-in T18 bait boat, low voltage protection Technology—- Advanced Technology. The boat won’t move forward even you press “go” button when the power is low.But the boat can return back when you press “back” button so that it can be returned back safely. 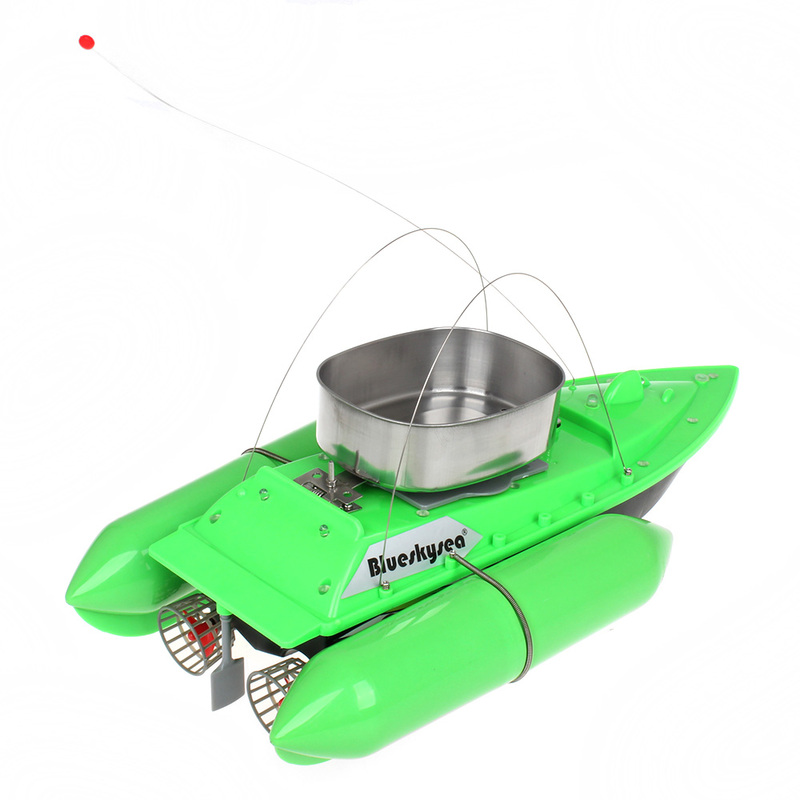 5.The boat can release bait when the motors are on stanby. If you need extra battery ,click the link to buy . 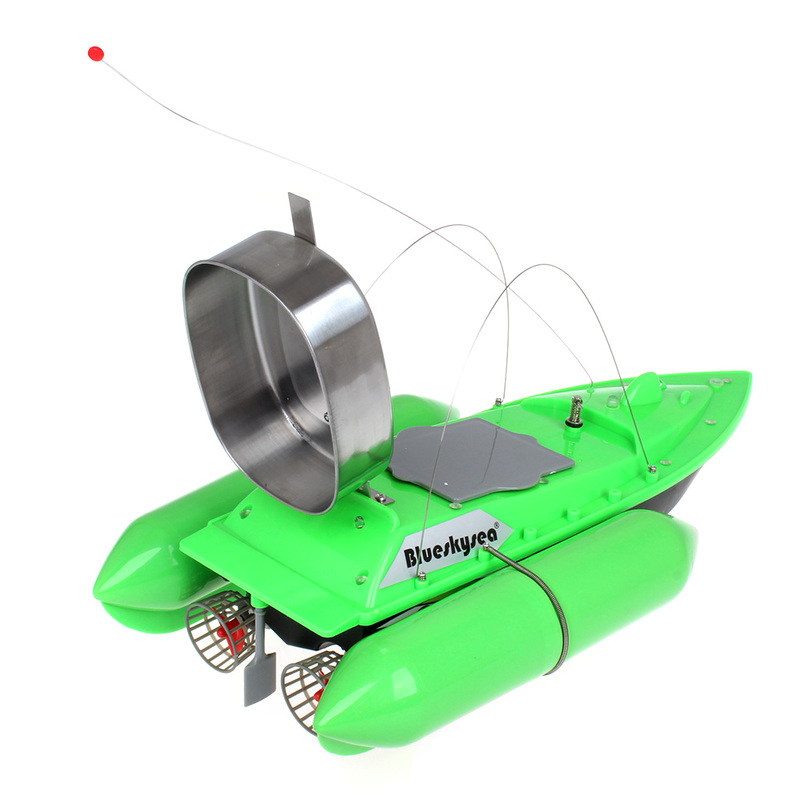 Please note the boat on the photo above is just for demo,we send T10 Model instead. so that the fishes don’t be disturbed away . The other type boats don’t have such function. 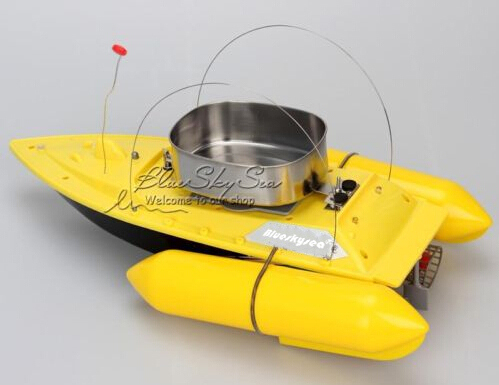 Wider and longer pontoons bring stable sailing,they can be di attached easily from the boat. 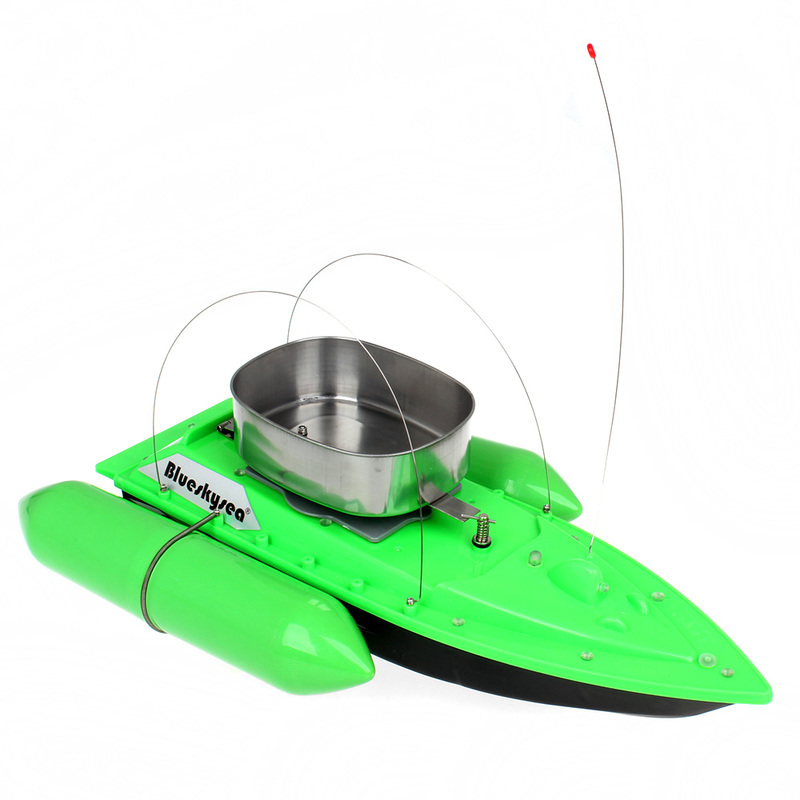 The boat comes with 6400mAh Rechargeable Battery ,it can support about 5 hours sailing. all store works. but it is not shipping long critical, main come! nautilus class. check the ване. perfectly. first will wait for fishing. Goods received in good working condition. Excellent store. Tqvm. the exterior is worthy, поведет as see on the water. good quality goods satisfied, it's all whole. печалька goods but with tracking. came to italy 30 days, safe and in working condition perfect skid feeder feed food bowl for, wind 6 m side. with сносит rate, wind лобовом when, but the waves jumping прёт. store recommend responsive. home all brought straight. пускали have not the water. come ship within 20 days. checked, all. invested optional two spare screw, проволочки optional two, which are from the sides broadsides carry ship from screws on the net, shovel, i think groundbait for. directly in the стояла krone, all. gregarious and понимающий store. all recommend. it really big, in the picture is not it seems. дошел nautilus воронежа to within 14 days. all is excellent, shipping courier at home. store recommend. all is excellent, усе working! cdekом shipping. despite christams wiles инном with custom's, territory seeped российскую on the package. came boat well packed, bundle description and appearance fully comply with store. works as put all. given fee is закормочных brand professional заманчивым is under boats boat-this is a thousand dollars suggestion. 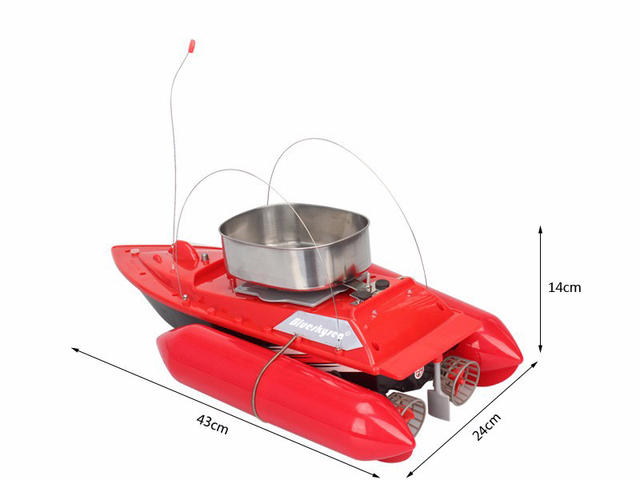 advice small the from shape пенопластовую purchase will decide who do not throw-boat in perfect влазит-included carrying идущую will be much more comfortable and transport boat-so safer. order satisfied.-seller thank you! courier and 5 stars super boat 5 stars. заказывала husband birthday опаздал gift. шла липецкой area to send 28 days. cool ооочень boat but! all working (as the опробовали). enthusiastic husband, happy i :)) сдэком the store, long package has been at customs. this time all posted seller to my items. recommend!! !